Outfits Inspired by The Beatles "Sgt. Pepper"
There are very few people who haven’t heard of The Beatles. Commonly referred to as the Fab Four, these young men from Liverpool took the music world by storm. In 1967, The Beatles released their "Sgt. 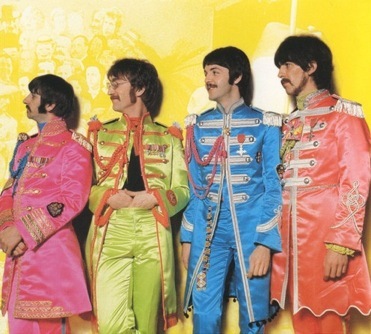 Pepper’s Lonely Hearts Club Band" album. According to Rolling Stone magazine, this record is “the most important rock and roll album ever made... by the greatest rock and roll group of all time.” Even if you’re not a huge fan of their music, their popularity and legacy is totally undeniable. 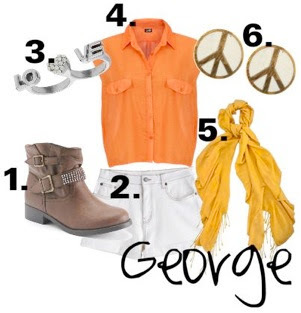 If you’re looking to honor the Beatles through fashion, consider one of the following looks inspired by the "Sgt. Pepper" costumes. Since its initial release, "Sgt. Pepper’s" popularity has only increased. With the release of Beatles Rock Band in 2009, the band’s relevance is undeniable. No matter what your opinion of the group may be, you have to admit that their styles are unforgettable. What do you think? Are you a fan of the Beatles? 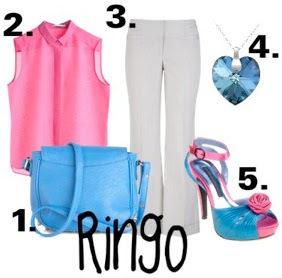 What do you think of these outfits? this is too cuteee of an idea!